Hi there, this is Rachel from Beyond the Bead Jewelry. I am Sarah's sister and along with making jewelry with our mom, Nedra, I also sew for the Blue Susan Etsy shop. I am a new contributor to the Blue Susan Makes blog and am excited to bring you some fun tutorials during this holiday season! In today's tutorial, you will learn how to make these beaded angel ornaments. They are fast to make and can easily be made in an afternoon. They make a lovely gift for family, friends, or neighbors. 1 - 3 inch head pin. Thanks for watching! 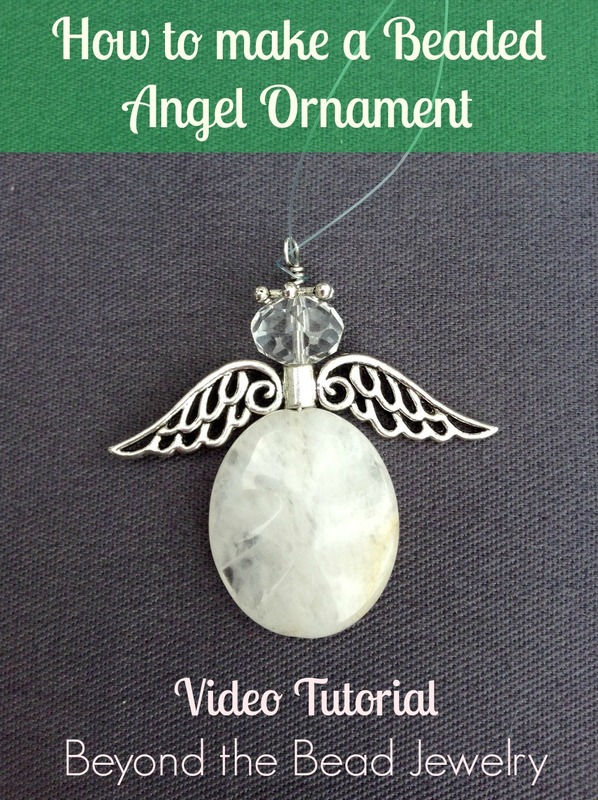 If you want to see some of our angel ornaments for inspiration, hop on over to our Beyond the Bead Jewelry Etsy Shop and take a look. If the video is not working for some reason, here is a quick picture collage of the step by step to give you an idea of what to do. It is way easier to understand from the video, however.